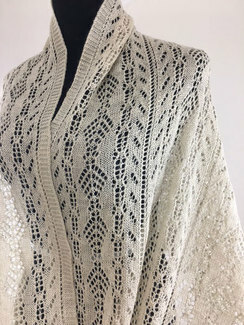 Size: Lace Knit Shawl – 24" x 72"
Lace Knit Shawl – 24? x 72? 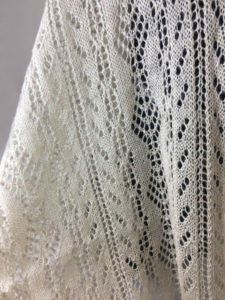 The “Arnetta” is a precise creation of a lacy shawl. The open details and shapes are perfectly placed to add a little something extra to any every day look. 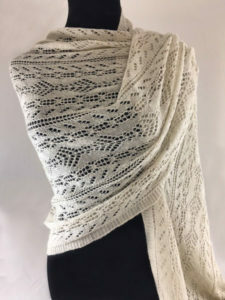 The extra fabric length and width of the shawl gives you the option of a hooded scarf and a little more coverage on the shoulders for those cooler days. 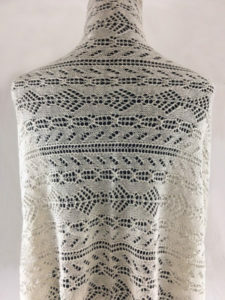 This design is available in both 100% Suri fiber. Available in 100% Halo Ranch Suri Medium Brown, Dark Brown and Black.